ACS carries a complete selection of Binders and Charting Supplies. 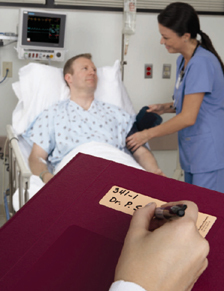 We carry Medical Grade Poly Binders, Poly Index sets, Binder Carts, Medical Labels, Patient Flags, Ring Binders, Chart Accessories, Pockets & Protectors, Paper Dividers,Chart Storage, Carousel Cabinets, Carousel Files and Medical Shelving. ACS Charting products are designed with the highest quality and can help you create an efficient system to make your job easier.